Hamilton's Beehive Craft Collective are organizing another large-scale art installation for Supercrawl this year. Last year it was a knit facade for The Brain. Opting for crochet hooks over knitting needles, I wasn't able to contribute. This year, however, they're speaking in terms I can relate to. The piece is called Modular Beauty and it will be made of many many hand-sewn, English paper-pieced hexagons that will creep and grow out of unexpected places along James Street. I took a stab at the craft at this week's Craft Night at Needlework and I have to say it's really simple and really addictive. "Just one more piece..." Ha! The cluster above took me about 3 hours to complete, though, so these ladies are going to need a massive amount of help from the community to make this a success. Luckily, the Bees have organized several ways to make it easy for you to get involved, including teaming up with Etsy Canada to host a fun Hive Drive hexagon-making party on Wednesday, July 4th from 6:00-9:00 at Low Key Studio. They also set up several hive drive donation locations throughout Hamilton where you can pick up hexagon templates and fabric scraps and drop off sewn hive sections when completed. 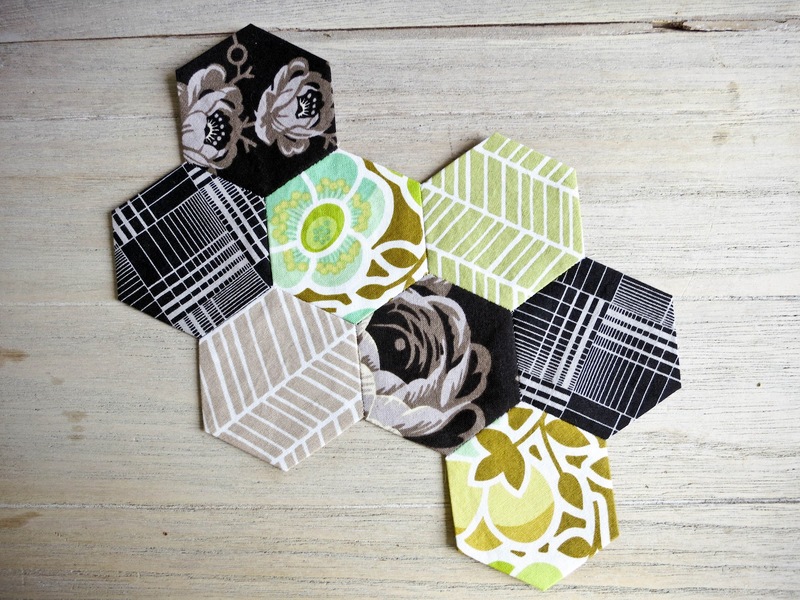 Visit the Beehive blog for lots more information, including instructions, templates and a super cute video tutorial.